Why Can't I Use Google? We subscribe to thousands of publications, like academic journals, magazines, and newspapers. Hit a paywall on a website? Use this search tool to check if the library has an active subscription or browse the many publications you can access online, anytime. The library's databases are structured so you can access all the items stored inside. Like a filing cabinet, fields are used to describe and organize library resources into files called records. 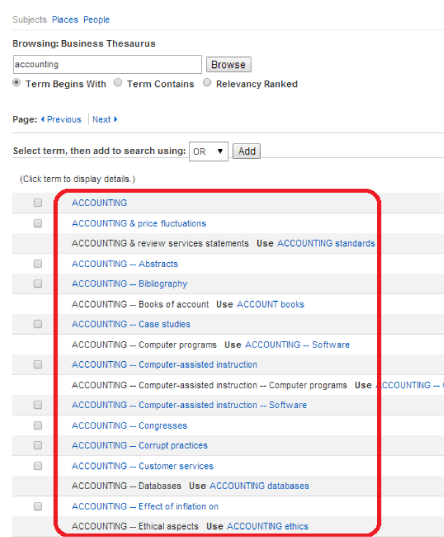 When a search term is entered, the computer finds records that contain the search term in one or more of the fields. All databases share this structure but vary in appearance, the types and formats of the content stored inside, and the terminology used to organize that content. A search engine like Google only searches about 20% of all information stored on the internet. This is called the open web. The 80% of information not accessible through search engines is called the invisible web. This is where information owned by individuals or companies is stored, including library resources. 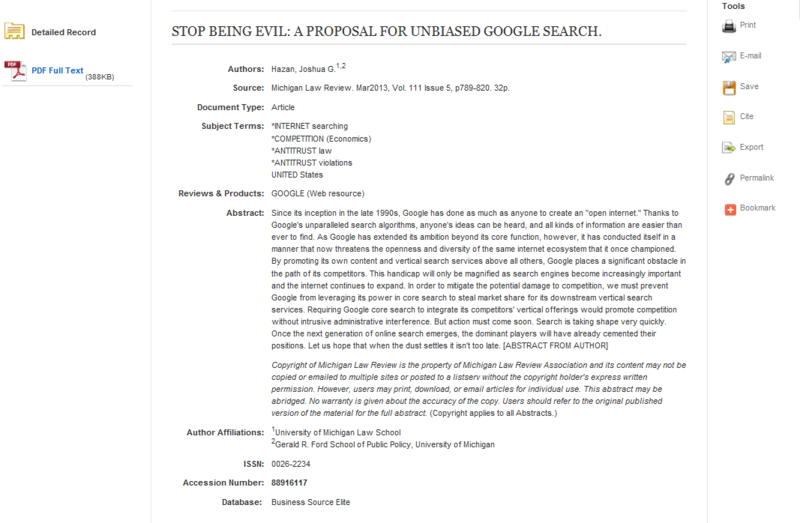 While it is possible to find scholarly sources on the open web, it can be challenging as many tools, such as Google Scholar,lead to websites with paywalls.This means payment is required for full access to resources such as journal articles. For example,this article costs $20 to download on the open web. The same article can be found in full using the library databases. Gives you free access to scholarly, peer-reviewed research that costs money to get in full-text, such as academic journals, market research reports, and ebooks. Has helpful tools like folders to save results, citation generators, and mind maps. Finds content in subject or format-specific databases, for example Nursing Reference Center for nursing sources or Credo Reference for dictionaries and encyclopedias. Can be helpful for locating news and current events, general information, and official government sources like statistics. 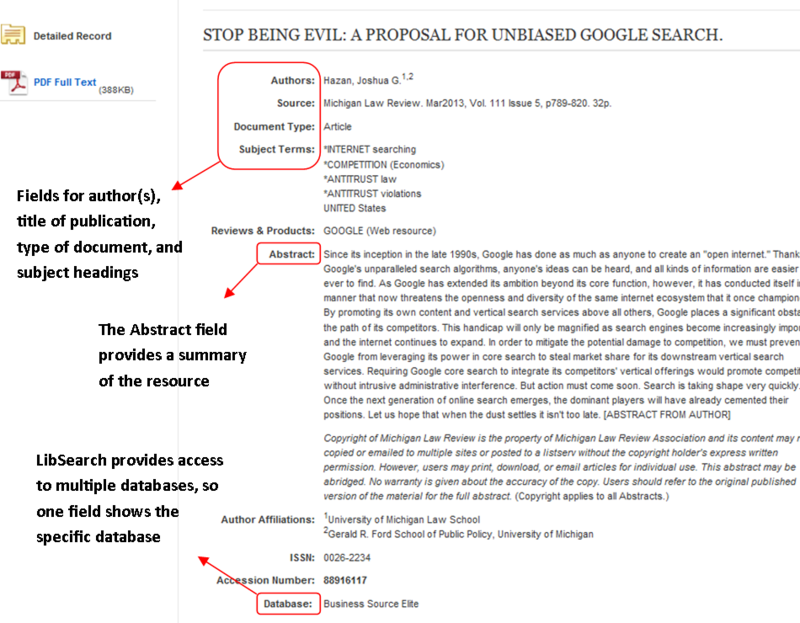 Access to scholarly research require payment (aka paywalls) to access in full-text. Results contain a lot of advertising and sponsored content, aka clickbait. Few options to narrow and improve relevancy of results. Provides free subscription-based content that is scholarly and suitable for college assignments. Lacks the reliability and authority needed for college assignments. Library databases contain information in multiple formats - images, streaming videos, book chapters, and so on. One of the most common formats in databases are periodicals. Periodical refers to publications produced as an open-ended series at regular intervals, or “periods,” such as daily, weekly, monthly, quarterly or annually. Periodicals may be issued in print and/or electronic formats with a title indicating content that is focused on a particular subject area, audience, and/or geographic location. 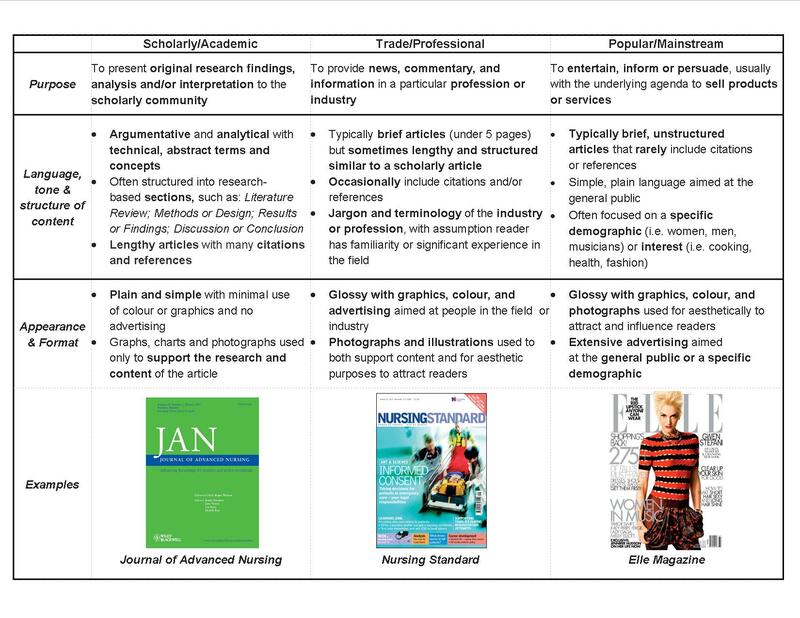 There are 4 major types of periodicals: popular, news-based, trade/professional, and academic. Intended to entertain or persuade, usually with an agenda to sell products or services. Brief articles with short, catchy titles that have no obvious structure and do not contain original research, but sometimes contain summaries and popular representations of research, making it accessible to a non-specialized audience. Many photographs, illustrations, and colourful graphic layouts used for aesthetic purposes to draw in and influence readers. Attractive glossy format with lots of colour. Simple language in order to meet a very basic level of education. Extensive advertising designed to appeal to the general public or a specific demographic. Published on a weekly or monthly basis. Contains information on local, regional, national, or international events; editorialsand opinion columns; and entertainment reviews. Historical newspapers can provide unique eyewitness accounts of events. Useful for acquiring time-sensitive information as content is extremely current. Provides mainly objective information, but does not contain scholarly analysis. Written for a general audience with plain, simple language. Original source of the information is often unclear, as articles have no in-text citations or reference lists. Published daily, weekly, or monthly. Provides news and information to professionals in a particular industry. Articles do not contain original research, but focus on applying research to practical and real-life situations (i.e. discussing how teachers can apply the latest research on learning theories to their teaching). Assumes the reader is an educated and experienced professional, so specialized vocabulary and technical jargon is often used. Funded through both subscriptions and advertising, with extensive advertising aimed at people in the field or industry. Photographs and illustrations used to support content of the article and also for aesthetic purposes to draw in readers. Published on an annual, biannual, or quarterly basis. 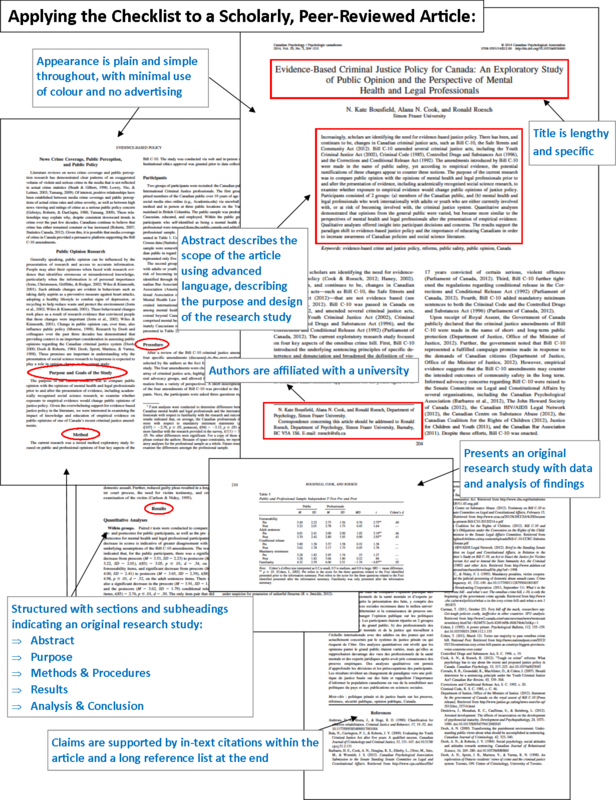 Most articles are evaluated before publication through the peer review process. Articles are written by scholars or researchers in the field, discipline, or specialty and contain advanced, technical language appropriate to the discipline. Illustrations, graphs, charts and photographs are used only to support the content of articles. Articles are lengthy and have substantial in-text citations with endnotes, footnotes and/or bibliographies. Plain appearance with little use of colour and minimal advertising. Contains one or more of these terms in the title - Journal, Studies, Applied, Analysis or Quarterly. This means that academic journals do NOT publish ONLY scholarly, peer-reviewed articles. Other types of articles, such as editorials, commentaries, opinion pieces and interviews, are also published in academic journals. Discussion, Analysis and/or Conclusion that summarizes and interprets the implications of the results in the context of the topic or field as a whole, including areas where further research may be needed. This type of article attempts to present an original argument or conclusion based on the interpretation of evidence. It typically refers to or contains new or established abstract principles related to a very specific field of knowledge. This type of article summarizes, analyzes and/or discusses research that has been previously published, rather than reporting new original research. It features a substantial list of references that a reader may wish to consult when learning about or researching a topic. A common sub-type of a review article is a literature review that systematically and critically collects and describes prior publications on a specific topic or subject. Common in the social sciences and life sciences, this type of article provides an intensive analysis of an individual unit (such as a person, group, community or event) in order to illustrates a problem, present new variables and provide possible solutions or questions for further research. Found in periodicals of all types, these types of articles present opinions and personal analysis of a specific topic or issue. The writing style is persuasive, intending to convince the reader to adopt a certain perspective. Typically found in newspaper and magazines, although it may occasionally appear in scholarly and academic or trade and professional publications, this type of article reflects the author's opinion or subjective experience with a particular subject or topic. The language and tone is generally simple and informal with the use of first-person "I" and "my"
Interview pieces feature a conversation between two or more people where questions are asked by the interviewer to acquire factual information, statements, opinion or insight from the interviewee. News articles are usually short and written for a broad audience with a focus on current events or trends. Sources are typically quoted within the text (for example: "According to Calgary's Chief of Police...") and there are no references at the end of the article. To determine if a journal article is peer-reviewed, open the article and look for the key characteristics described below. For more help, use the How to Find Peer-Reviewed Articles guide. Use concrete and neutral words. Never type more the one or two words in a search box. Go to the Advanced Search page to separate keywords into multiple boxes. If you are not finding what you need, try to change or add keywords. Use Boolean operators (AND, OR, NOT) and truncation (*) to expand and narrow results. Use filters/limiters on the left-hand or right-hand side of the screen to refine results. Choose a field from the drop-down menu next to the search box to narrow results. A “keyword” is simply a concrete word or phrase that describes the main concepts in a research question or topic. If you have used an Internet search engine, you are probably familiar with keyword searching. NEVER type more than one or two words into a search box. Use Advanced Search for more search boxes to add keywords. Retrieves results that contain all the terms and excludes those that contain just one of the terms. Retrieves results that contain either or all search terms; OR is usually used to search for synonyms or related words. Narrow search results by excluding one or more words. Retrieves the records that contain the first term but eliminates any records that contain the term which is entered after NOT. It should be used with caution as it may eliminate relevant records. When you use library databases, you will often get too many results. In most databases, the left-hand or right-hand column of the search results page has many filters/limiters to narrow and improve the accuracy and relevancy of results. A field is used to “file” a library resource in the database. Fields appear on the database record and vary according to the format of the library resource. 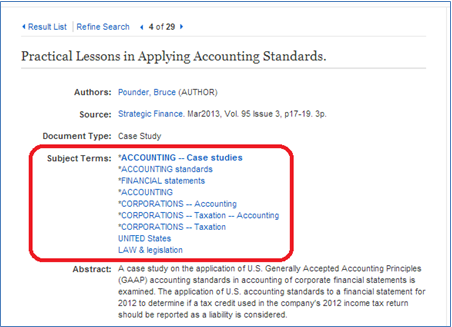 In library databases, subject headings are a type of standardized “tag” used to index and organize resources on the same topic, regardless of the words used in the actual text. Subject headings are useful because they group under one umbrella term all the synonyms, singular or plural forms, and spelling variants of a given term so you do not have to search for every variation to find all relevant resources. Also referred to as subject terms or descriptors, subject headings vary depending on the database. A list of subject headings is typically provided within the thesaurus or index, which can be used to begin a subject search. 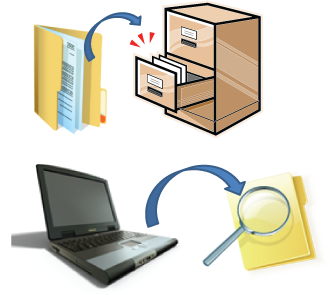 Another method of subject searching is by opening the database record.